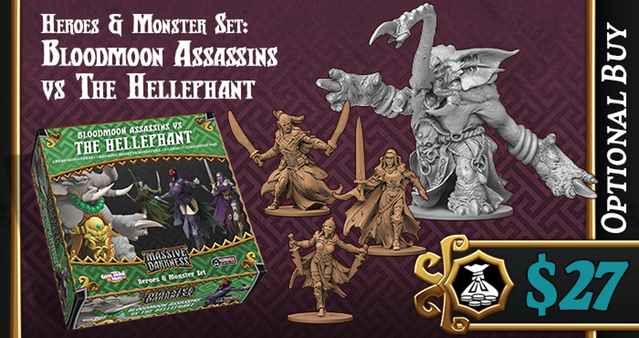 This set comes with three new hero figures as well as the Hellephant figure. There's 5 cards in there, to help you play those new figures. There's also a new class, the Bloodmoon Assassin. As one would expect, the Bloodmoon Assassin makes heavy use of the Shadowy areas of the map, being able to launch deadly attacks on unsuspecting enemies. 8 days left in the campaign if you'd like to join in on the action.